Gold Star Cleaners occasionally has openings for employment. We always accept applications and will keep them on file for about 45 days. Positions available will be advertised in the Bangor Daily News classifieds. The vast amounts of jobs are full time (40 hours). There are three basic shifts, Saturday through Wednesday, Thursday through Monday, and Monday through Friday. All shifts include evening and weekend work except Monday through Friday. All shifts are fixed schedules and year round. Benefits include one week paid vacation after one year, two weeks after three years, three weeks after ten years. All holidays are paid and we are closed on Christmas Eve (closed at 6:00 pm), Christmas, New Years Day, Easter, Memorial Day, Independence Day, Labor Day, and Thanksgiving. Discount life and disability insurance. Discounted dental insurance. Legal insurance. Christmas bonuses up to $100.00. Annual raises. 50% off drycleaning. Free tanning in our salons. Payroll deductions for direct deposit, and free company hats and pullovers are also available to all personnel. Gold Star cleaners is an equal opportunity employer and employment is at will. We strive to create a positive experience and enjoyable work atmosphere for personnel. 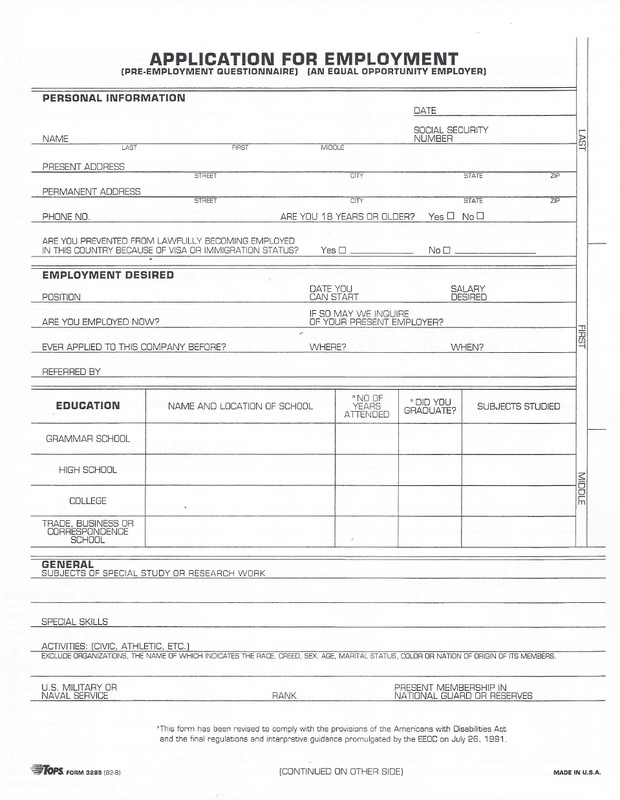 Click here to print an application, fill it out and drop it off at any of our nine locations.